A candid photo from Trader Joe’s. 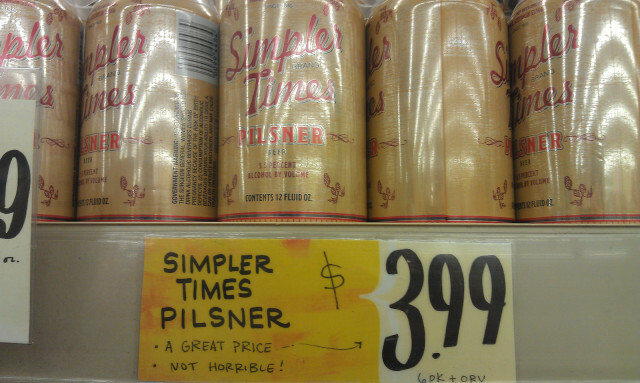 With an advertising campaign like this one, it’s no surprise that house brand Simpler Times Pilsner is flying off the shelves. What’s more, I agree 100 percent. It’s not horrible. It’s not a magic pony ride to Flavortown either, but for $3.99 a six-pack you can’t gripe too much. Think of it as the beer equivalent of Two-buck Chuck.